Three bedroom Gingerbread Cottage. Living/dining area, kitchen and 1 1/2 baths. Bedrooms are upstairs, front bedroom with balcony facing park. Five person maximum. Cable and DVD available.Some time available in July and August, but not Illumination; $1,700 per week. 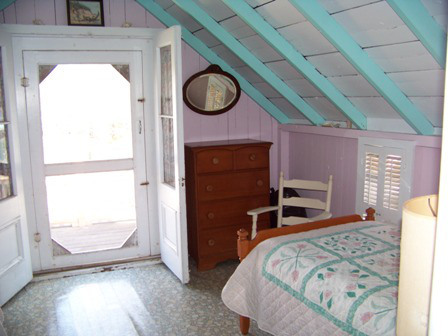 Cottage has covered porch ideal for relaxing in a cozy circle of colorful gingerbread homes. It is located in Wesleyan Grove and within walking distance of shops, beaches and restaurants. Parking is at the house. Renters supply their own sheets and towels. Sorry, no pets or smokers. For more info contact Glenda at 508-473-0522.